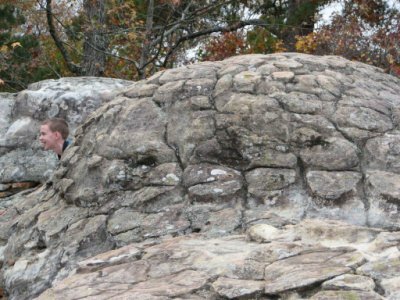 I just went on vacation to a state park in Arkansas with the Cahill clan – Brian couldn’t get off work, but he graciously allowed me to go and boy did I have a great time! 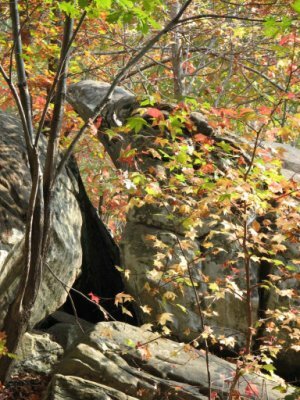 Anyhow, everything was just incredible – fall was making it’s way through the trees and we enjoyed it to the fullest extent, hiking upwards of five miles each day. I’ll let pictures do most of the talking. 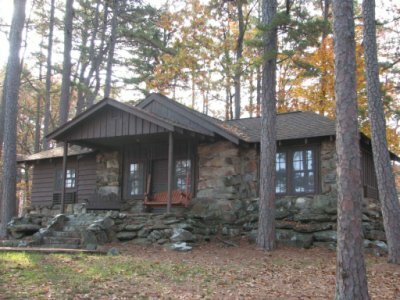 Here’s one of the great little cabins at the park. 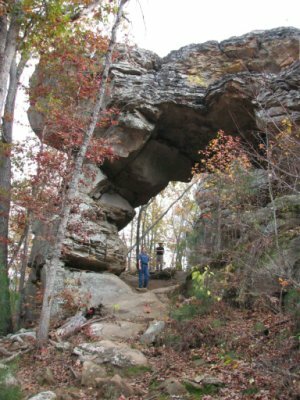 Our first hike led us to a natural bridge – I climbed on top! I loved all the rocks and colors. 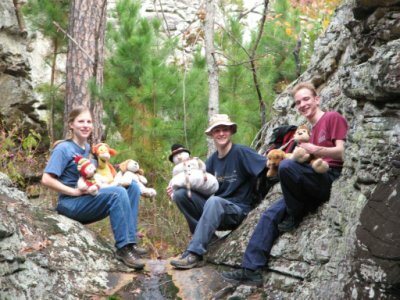 Being introduced to the family tradition – Kevin ran 10 miles with the animals in a backpack – all for a picture to let the animals left at home see what kind of adventures the lucky ones had. Benj. 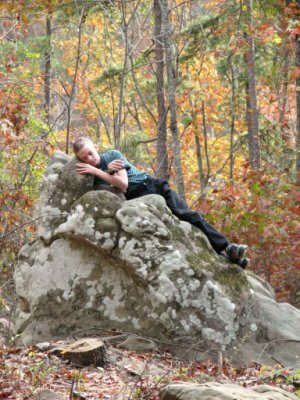 takes a snooze on a comfortable rock….then poses at the turtle rocks. 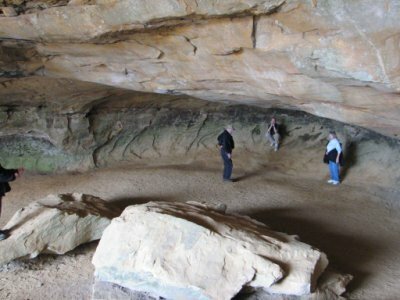 This is Rock House cave – fun for echos and howling and stuff. 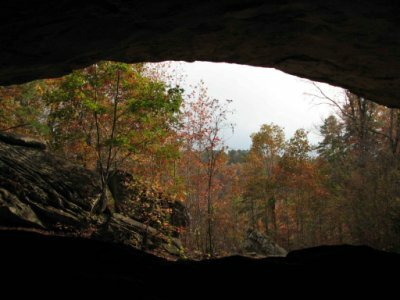 Here’s looking out of the cave – everything was just so incredibly beautiful! We finished the day with a great meal and games then creaked our tired bones into bed to prepare for another day – which I will post about later!